Letting Agents Tamworth | Why choose Next Place Property Agents to let your home? Working with you in a long term partnership, our aim is to find you the best tenant, in the timescale that matches the availability of the property, offering the best rent to minimise any void period. With our strict set criteria, we have let 100% of our instructions where we have been instructed initially, and have landlords returning to us, and recommending us on a regular basis. Fully Managed service. From £285 inc VAT setup, 8% (9.6% inc VAT) per month management fee. We conduct all viewings at your property. Find and fully reference the tenant, with financial, employer and previous landlord references. Set up the tenancy agreement. Take in the deposit and first months rent from the tenant. Register the deposit with the Deposit Protection Service Custodial Scheme. Organise any certificates required (gas safety, legionella and EPC)*. Deal with all maintenance issues and service calls from the tenant. Forward to you monies due. Tenant Find Only service. From £450 inc VAT. Register the deposit with the Deposit Protection Service Custodial Scheme*. *Additional costs apply. ** additional costs apply for more than 2 bedrooms or furnished. Your property will be on the market usually within 24 hours. Our office is open 6 days a week, our telephones are answered 24 hours a day. We advertise your property on Rightmove, Facebook, Google+, Twitter and hundreds of other websites. 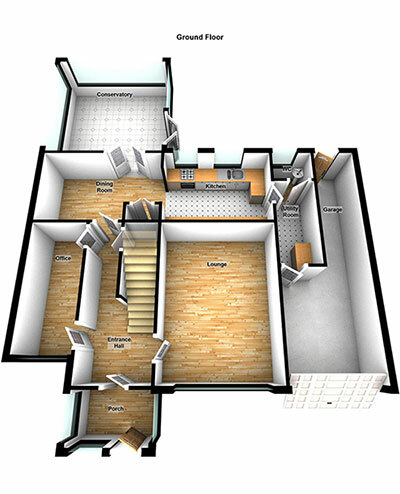 Your property will have a fully scaled 3D Floor Plan. We have professional photography equipment and take lots of photos of your property. Would you like 100% of your rent paid on the rent due day? With our Guaranteed Rent scheme you get the rent paid on the due day regardless of it the tenant pays on time or not. When tenants can’t or won’t pay, you are protected, not only from rent arrears but also from any tenancy breach. What does our Guaranteed Rent service offer the landlord? This service is available to all landlords, both tenant find and fully managed service.